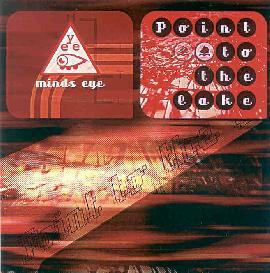 Minds Eye - "Point To The Lake"
Minds Eye is the solo project of Marco Da Rold, an Italian electronic music musician. The three tracks presented here feature a variety of ambient soundscapes, lead synth solos all on the background of some hip hop style drums and percussion. All the material is recorded in a home studio. I found a few technical flaws in the productions that made the songs flow not seem as seamless as it could be as it was clearly all recorded direct to the hard disc and mostly done on the computer. Not a bad three track CD but nothing that really grabbed me and made me say “WOW”. For more information you can visit the Minds Eye web site at: http://web.tiscali.it/mindseye.